Last week I went out on some errands and wandered by H&M in University Village. 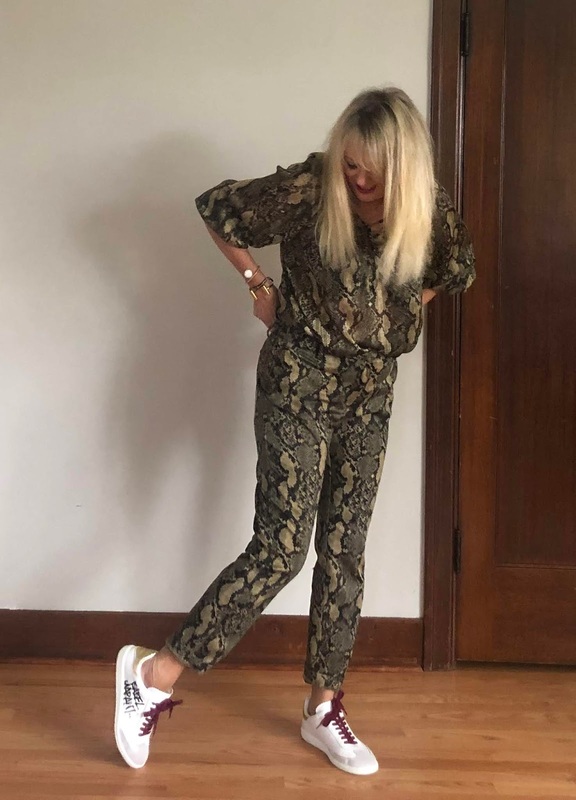 It is hit or miss for me there, but I spied some green snake print trousers and had to give them a try. 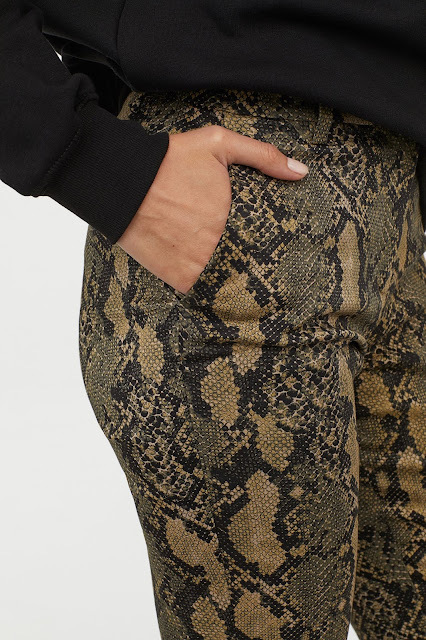 It amuses me that these awesome green snake print snake trousers are listed as "slacks" on the website...they seem more like a trouser to me! They are fabulous with a slightly stretchy satin-like fabric and a cropped leg. I decided to add a blouse in the same print to give it the appearance of being a jumpsuit, although these pieces are both fab separately too. 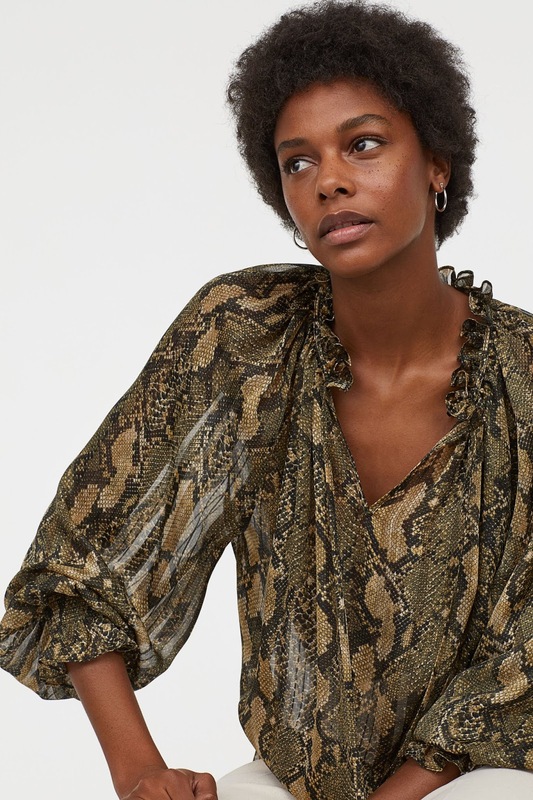 There were actually two blouses in the print; the one I chose was a flowy sleeve tie blouse, (seen above, but not as shiny in person as in this photo) that I pushed up the sleeves on. 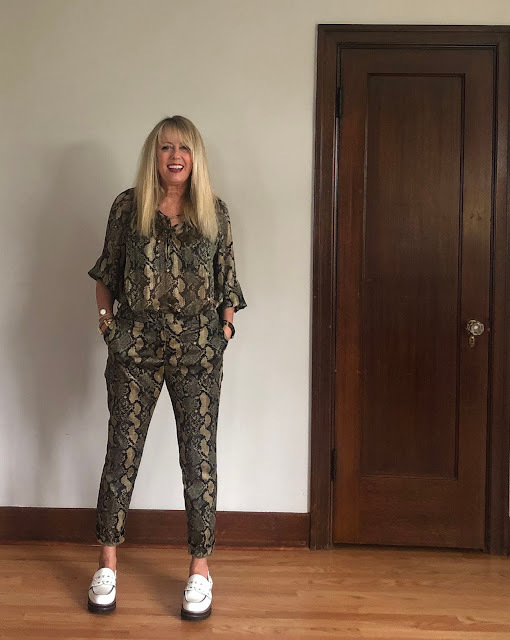 There is also a button up and a great little romper in this print. 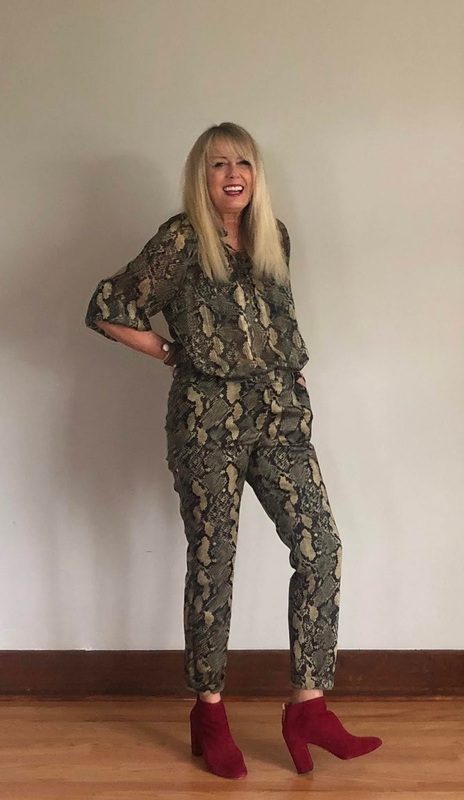 I wanted to show how versatile this print actually is, so I have styled it with four different shoes to give you some inspiration for wearing snake print. 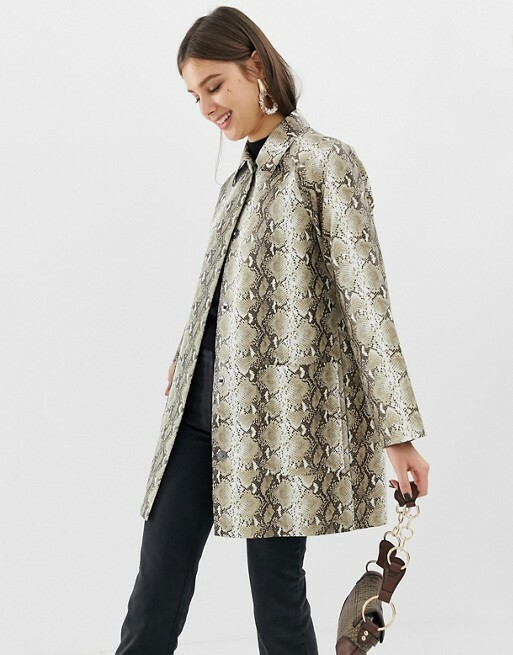 Perfect for running errands or heading to the office and onto cocktails, these pieces are spot on. And did I mention the whole look is $40? Here is how four different shoe choices can add a mood change to a very modern look. My Altuzarra red suede booties are a sophisticated pop of color that plays well off of the green snake print. I got mine at Nordstrom Rack last year but I also like these styles here and here. So fun for a concert or dinner out. A red short western boot would also be so cool. Another score from Nordstrom Rack! I love mixing animal prints and these leopard Via Spiga calf hair heels are the perfect heel height. I love the Veronica Beard Mel Pump that is similar, Girls night or date night, I am ready to kick up my heels. Want to give this look a casual spin? Try a pair of classic white sneakers. My Isabel Marant sneakers make this look perfect for daytime. Here is a newer version of my sneaker but any white sneaker would be so fun with these pieces. My Coach chunky white loafers are a great alternative to all the while booties out there. Whatever style you choose, make sure you have a pair (or three) of white shoes in your closet. It makes everything look fresh and modern. This is part of my Wear It Out Seattle Series that you can follow on Instagram. 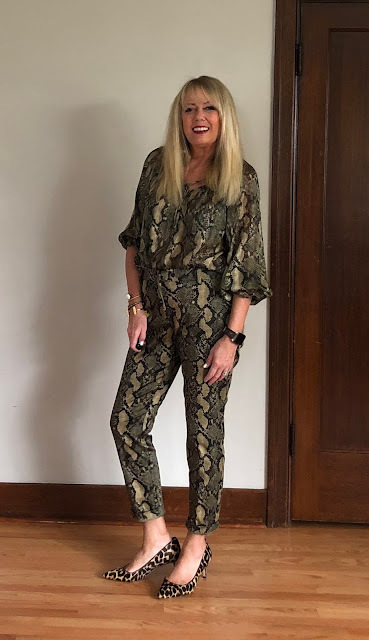 I hope I have inspired you to add some sophisticated serpent to your closet this season! Have a great week.